The "INNOVA Cup Endurance Race of Taiwan 2019", organized by INNOVA Tire that will be held at the same time as Taipei Cycle Show. With the hard work of the former national champion, many companies and medias have been recruited to promote this big event and become one of the hot contest in 2019. Since 2015, the contest has been held for fourth years. There are countless challengers participating in this contest each year. Including Taiwanese cyclist, it also attracts cycling enthusiasts from China, Singapore and other countries. The intensity of the contest is extremely high. In less than 48 hours, a little mistake in decision-making is likely can not be completed the race. It is not only challange the strength of the cyclists, but also the training results accumulated by the cyclists, as well as the ability of team replenishment and on-the-spot response. Leida enterprise (parent company) has always spared no effort in participating in sponsorship of bicycle basis. In addition to sponsoring the consumable of young cyclists, the promotion of large-scale events is also positive. 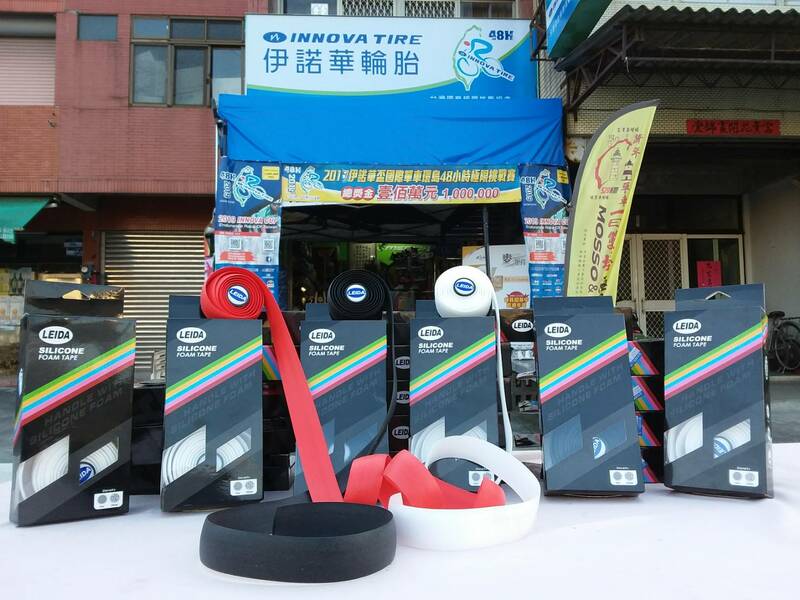 Since the last time as the main sponsor of the INNOVA Cup, we have provided our handlebar tape to our participant in this race. Silicone tape could relax the cyclists's palm when they ride for a long time, and continuing the combat ability of the cyclists on the road!